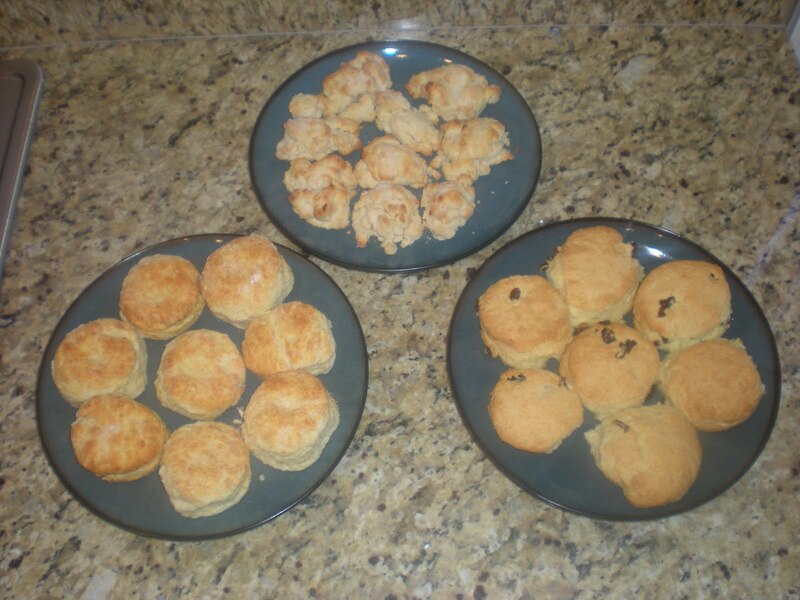 In this episode I learned the proper way to make a southern biscuit from Alton’s grandmother Ma-Mae. Unfortunately, in Las Vegas I was unable to find a soft winter wheat flour as suggested, so I had to make my own. Make sure before making these recipes that your leavening ingredients are fresh, they have a very specific shelf life and it will make a world of difference in your baking. I don’t have much use for recipes but the one you get on a bag of White Lily(r) self-rising flour is hard to beat. And it’s a lot easier than the one my crazy grandson dreamed up. These biscuits were nice and fluffy. I used 3 part AP flour and 1 part cake flour as Alton suggests in the episode. 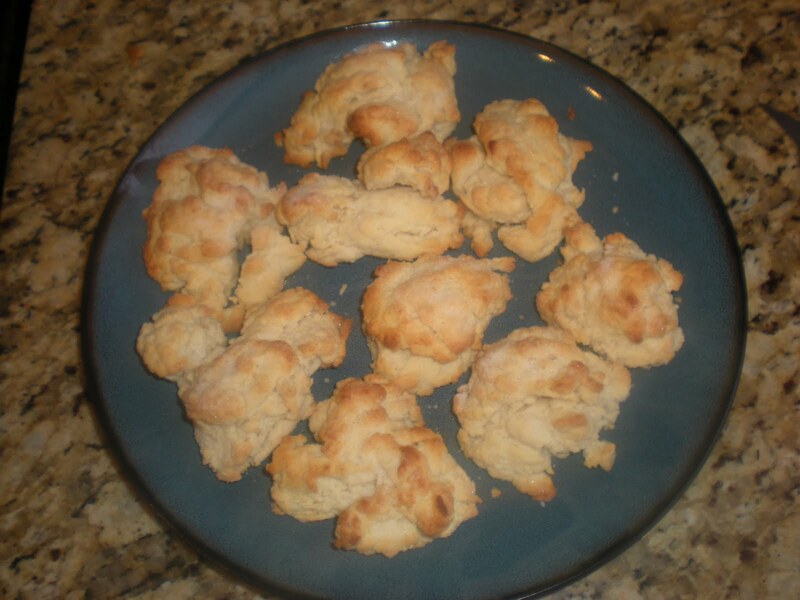 These are a nice basic biscuit, but I felt they were lacking a bit in flavor, this might be because I was using unsalted butter. Next time I will use the salted butter. I would add brushing the tops with buttermilk before cooking. All in all a pretty good recipe. In a large mixing bowl, combine flour, baking powder, salt and sugar. Cut in butter and shortening. Mix in half-and-half. Drop by large spoonfuls onto a baking sheet. Brush with melted butter and sprinkle with sugar. Bake for 15 minutes or until brown. Cool and eat with berries, ice cream and/or whipped cream. These were exactly like the biscuits but slightly sweet with the sprinkled sugar on top. 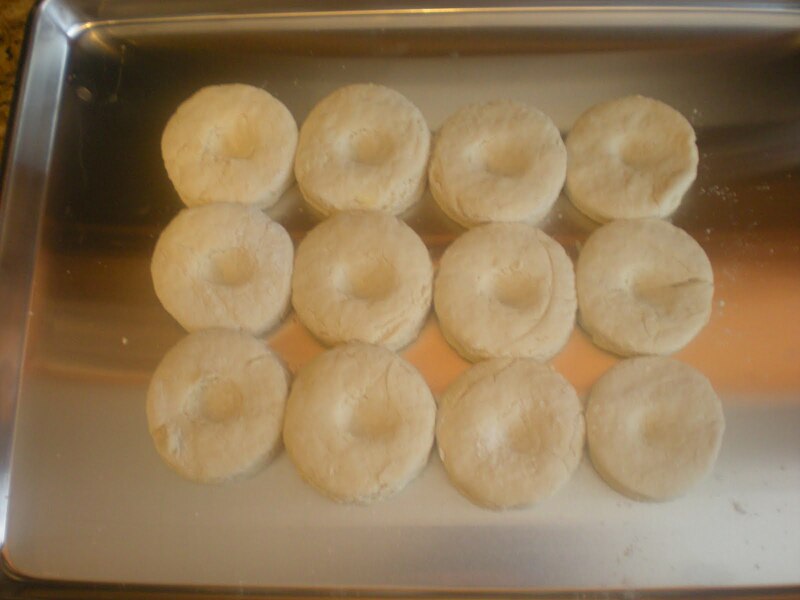 I wanted to cut them with my biscuit cutter, because I like them when they are more uniform, but I resisted and dropped them on the pan instead. Whipped cream and berries make this a yummy treat! These were my favorite of the day! I used the dried cranberries. They were light, creamy and sweet! Len who doesn’t like Scones said he liked these.